One of the great French films you will ever see. 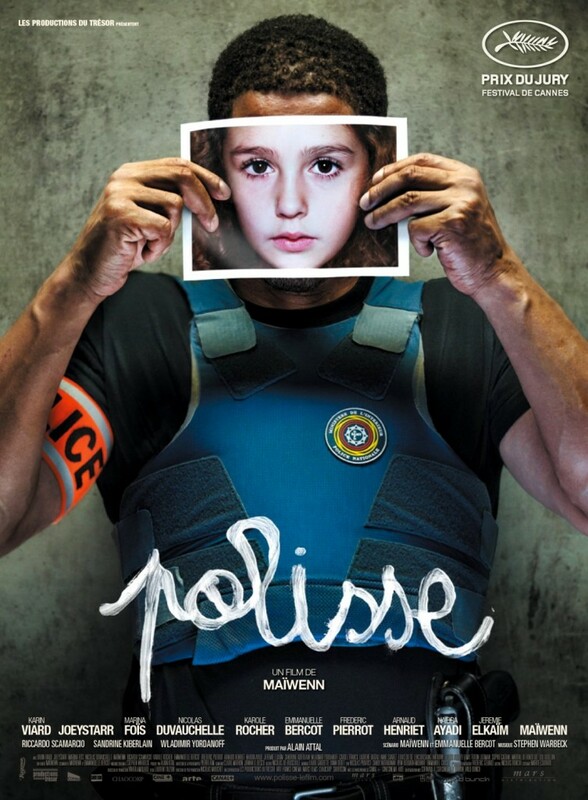 Polisse (French, in English subtitles) is a natural verité drama on the Child Protection Unit within the police department of France that’s streetwise, that’s instructive, that’s illuminating as a social climate record. I supposed I’ve grown tired of police dramas that push upon fake back-story drama, and focus on the fate of one big case, something that feels cribbed out of a newspaper report that’s been done to death a thousand times. Here’s a film that doesn’t suffer from the reek of amateur reporting. Instead, it plays like documentary coverage of the real thing. In “Polisse,” you get two dozen case studies – many of them so raw and spontaneous in their unfolding, not to mention irregular, that its episodes hit you like a ton of bricks. Desk interrogations of parental violators. Extracting statements from hushed children afraid to speak out. Sexually promiscuous teens transgressing while under the age of consent. Privileged wives that have to turn against their own husbands. Destitute single mothers who have to surrender their children to police because they’ve gone homeless. When there are action raids, we get merciless portrayals of thugs using children as human shields. The director Maiwenn, a French actress who has had experience in big budget flicks and low budget character pieces (“The Fifth Element,” “The Mechanics of Women”), always has the miraculous instinct, it seems, to show us exactly what we want to see – or make us hang on with suspense for the next inexorable event to unfold. We see these cops at work, rotating between heavy loaded cases, hanging out after work, boozing together, commingling together like their first-immediate family. The flawless acting is of the best kind, it’s invisible. If there’s anybody specifically with the strongest magnetism, it’s Joey Starr (a French rapper gone actor) as a self-tormented cop, back-bending in his generosity to the victims, back-talking to his superiors, and critical of the system. Maiwenn herself plays a photographer assigned by the Ministry of the Interior to cover the unit. The photographer is so self-possessed and drab, professionally focused yet brittle, that somehow she rouses up the most negative energy in this self-tormented cop who, in one scene, uses her as an emotional punching bag to pelt out his frustrations. When we recognize a love story blooming, it doesn’t reek of how unlikely. The way its structured feels as natural and ordinary of any coupling of two people we know are meant to hook-up together. But Maiwenn captures the messiness of life, the compounded stress of failure even in the face of an implacable occupation, that love, even at its most promiscuous, is the most solvent coping mechanism for these cops who need some distraction in their lives. If they had time on their hands they might have been more picky with whom they choose as partners, but their love lives are formed really on the fringe. With their kind of lifestyle, they pluck what is available. This is the best cop drama made since Michael Mann’s “Heat.” I know what you’re thinking, sure, that one is a thriller and this one is a social realist drama. “Polisse” doesn’t depend on typical “action” set-pieces, instead putting emphasis on the psychology of crime. It surmounts to the greatest assembly of material, on the abnormal and the deviant, that you’ve ever caught on “60 Minutes” or “Dateline” except it’s been rolled into one crackerjack film with an empathy antenna for what really matters. Because it’s a docudrama, because it’s been fictionalized, it doesn’t have to censor itself for TV magazine-like neutrality. Real cinephiles must take reckoning of this for this is a major work that sums up everything about the genre that is never dealt with. The ending is stunning, mind-boggling, maddening, but all in the best way – you ponder for hours afterwards of what triggered the cowardice of self-defeat. We empathize with a policewoman who is off the edge, who is as probably insecure, ragged and desperate as the victim children that she deals with everyday. Read interview with director Maiwenn: click here. 127 Minutes. Unrated. French in English subtitles. Film Cousins: “Serpico” (1973); “Colors” (1988); “Clockers” (1995); “Heat” (1995).